House music and blockchain technology is certainly an unusual combination of topics, which at first glance could not be farther apart from each other. When one allows one’s mind to wander across fields of drum beats and synthecised sounds, the hum of a blockchain’s beating core starts to make a lot more sense. Shane Kehoe epitomizes eclecticism. His mind is a swirling cauldron of music, financial investments, and advocacy for the digital gold brought to life by cryptocurrencies. He is a worldwide wanderer, as the meanderings of his life as Resident DJ at the Ministry of Sound and crypto king have taken him on a journey that few others could hope to imitate. What motivates and drives people to succeed, or otherwise, can be perceived as an intimate question. The human mind draws inspiration from a variety of sources, driving a person down paths determined by many factors. I was interested to know Shane’s motivations for everything he does, and how he perceives the usefulness and purpose of blockchain technology. Blockchain technology has been around since circa 2009, but that span is but a drop in the ocean of time when put into context. It is the sense of possibility, the chance for innovation and the betterment of people and society that keeps blockchain alive. A large portion of Shane’s life now revolves around this technology and he had a lot to say about it. “It feels to me that we’re back in the early stages, similar to the dawn of the internet in the early 1990s. Wouldn’t it be amazing to go back to that time and have a small piece of a system known as the internet protocol? That’s what motivates me. The ability to make a difference. “Blockchain will change the way that companies, enterprises, and governments address transparency and will enable the ability for an immutable record to be put on the blockchain. Transparency and clarity, which are inherent to blockchain, are important attributes of a better world. The heart of blockchain beats and hums as the crypto braids that hold it together tighten around the world. 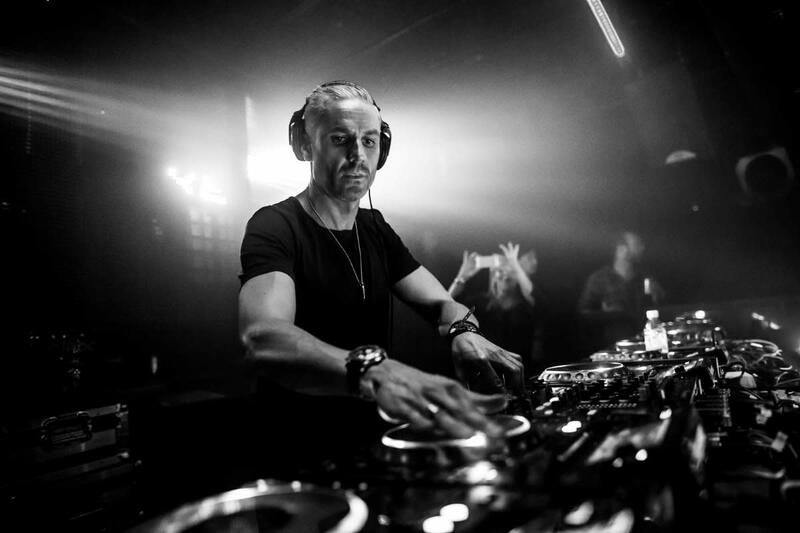 It is of some surprise that Shane is an accomplished DJ who works part-time for one of the most prestigious clubs in London, if not the world. The man is a Resident DJ at the Ministry of Sound club. I definitely wanted to know how Shane got to this position. “It started long before I became aware of cryptocurrencies, Bitcoin, or anything like that. You have to have passion, no matter what you do. When I was in my early teens, my passion was not football, or cars, or anything like that. My passion was music, electronic, digital music in particular. What most intrigued me was how music was actually made, how synthecisers were programmed, and stuff like that. That really interested me. Shane hit a watershed moment in his life story around 2005. 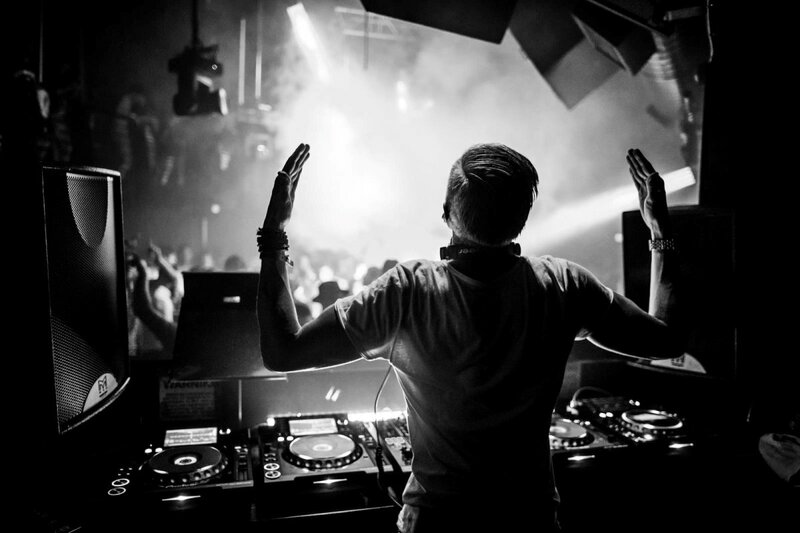 “I got signed up to the Ministry of Sound by the mid-2000s, and I soon became a Resident DJ and got to tour the world. I spent about eight years there, at a professional level. I was working concurrently at one of the largest hedge funds in London and on weekends I’d get on a plane and rock dance floors around the world. So I was going from trade floors to dance floors. The tempo of the conversation prompted me to ask Shane about the relationship between music and blockchain. It turns out I struck a chord. So there is justice to be drawn from blockchain. “What we are seeing more and more of now in the music industry is a call for transparency, a real call for the ability for songs and artists to be on the blockchain, so when a song, or a sample of a song, is played, revenue is generated for the record label and the artist can also get paid what’s due. That beat coming from the blockchain space is becoming louder every day. It was certainly loud enough to attract Shane. “During my travels with Ministry of Sound, I became aware of the existence of Bitcoin. probably around 2013. I remember I was in Korea at the time. I had merely an understanding of cryptocurrencies, nothing more. “What really got me into it, however, happened in late 2016. I had read an article in Forbes about Bitcoin’s meteoric rise. I checked Bloomberg and saw that Bitcoin’s price had risen to $1,000. That was the moment when the light went on in my head; it was a watershed moment. I knew instantly that it was gold 3.0, and that there was a finite supply. It took me five days to buy some Bitcoin and, in that period, Bitcoin went from $1,000 to $1,080, so I thought it was a good move. Shane’s latest project is SVK Crypto, an investment firm based in London. I wanted to know more about it. “At SVK, we focus solely on cryptocurrencies and blockchain technologies with a global, long-term view. SVK is a group of nine individuals. Some of us have a financial background, some of us have a tech background. Our biggest achievement so far is a partnership with Block One, the creator of the EOS.io protocol. “Our role here is to source, analyze, and invest into very early stage blockchain technology companies that will use the EOS.io protocol. We believe it’s a fantastic opportunity, and we also believe that EOS will be one of the blockchains of the future. Childhood experiences influence the people we become as adults. They affect our behavior and outlook on life. Shane warmly shared some of the experiences of his long distant past. I wouldn’t be the greatest public speaker myself, so I always admired those speakers who can engage the audience with their attitude and their words. I’m also interested in learning about the mechanics of how that engagement works. Talking to Shane gave me a good opportunity for enlightenment. “That’s also a really good question, and I’ve never been asked it like that before. When you’re looking to have audiences engaged, what I find is that people react positively when you can tell a story, when you can explain something in a simple manner. That story is your journey. Basically, you tell ‘how have I got here’, ‘how have I got from where I was to where I am now.’ Tell all the things that you’ve done that have added to that journey, and also, being honest, to open your heart to the audience. The crypto world has been a wild ride from the start, and that’s a bit of an understatement. Dramatic price fluctuations, crashes, well-publicized scams, and a number of other events have peppered the crypto landscape with flavour and spice. Where it’s all going is anyone’s guess, but Shane has his own vision. Crypto will live, or crypto will die, that’s the nature of the beast. But as Shane himself said, the genie is out of the bottle and she may not want to get locked in again for another few hundred years. The sense of gathering a community ran clear throughout my interview with Shane Kehoe. Be it a crypto community via SVK, or a few thousand music lovers dancing to the House beat swirling around the Ministry of Sound’s state-of-the-art music system, pleasing and benefiting people is one of Shane’s main drivers. And whatever about crypto, music will certainly never die. You can follow Shane via the SVK Crypto website, SVK’s Twitter account, or his own personal LinkedIn account. You can also join SVK’s Telegram channel. I’ve known Shane as a remarkable crypto industry expert for some time now, but this really blew me away. I really admire the passion in this guy but never would have thought to see him behind a set. In a way, it all makes sense… you can’t be just partially awesome. It’s all or nothing!